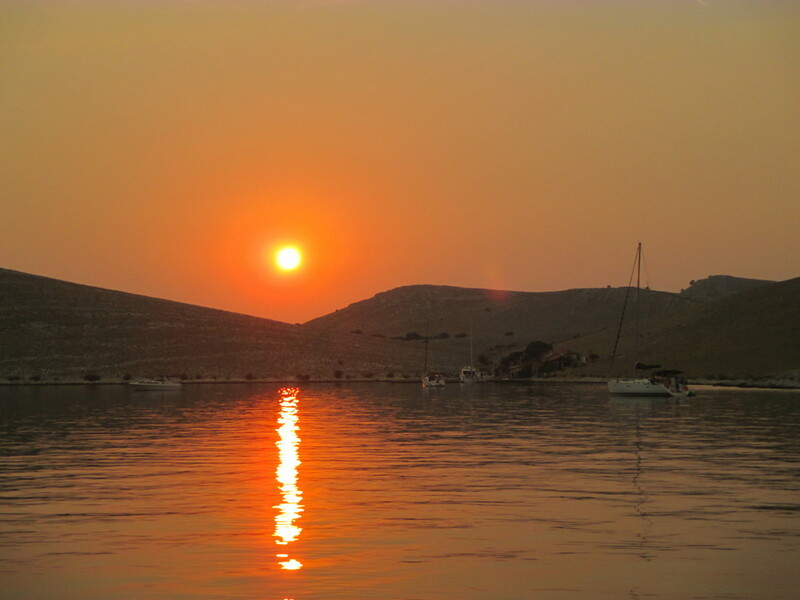 Are you looking for a fantastic and memorable charter holiday in Croatia? 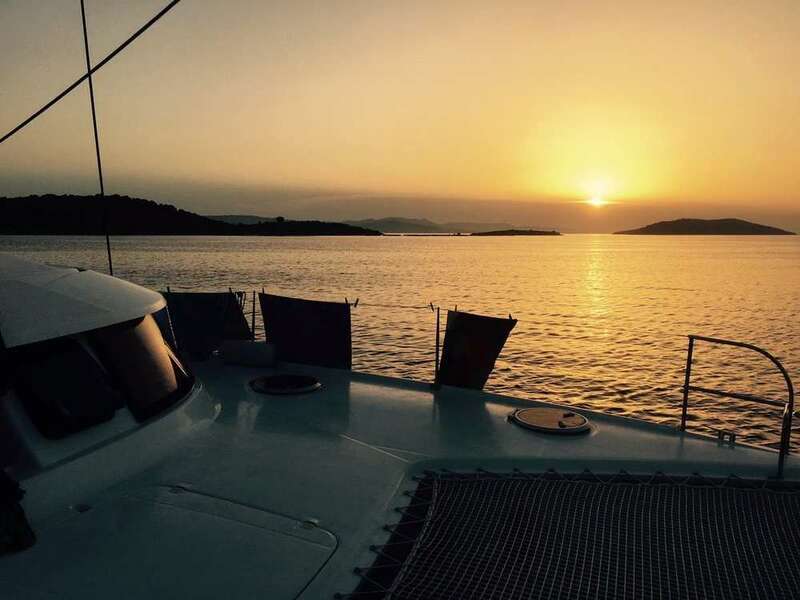 Let our beautiful and comfortable catamaran Fountaine Pajot Lipari 41 be your choice and experience the amazing Croatian sea in a completely different way. Our catamaran is perfect for family vacations, as well as for friends spending their off-time together. This cruising catamaran is built for comfort, combining elegance with construction quality, safety and remarkable performance. 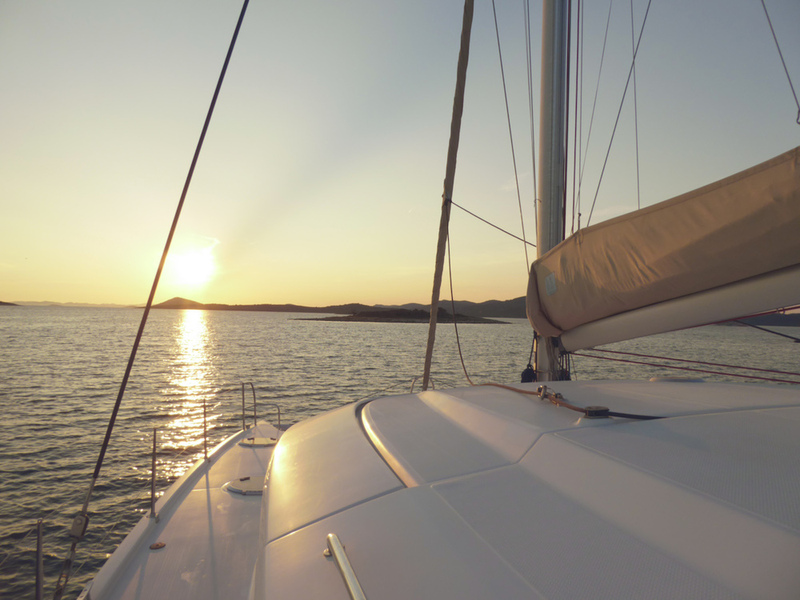 Her hull with balanced volumes is at ease at all speeds and in all seas. The outlay of the deck both efficient and well equipped ensures the crew easy handling and comfortable navigation. With a low center of gravity, the genoa has a strong cover and the main sail has a great main sail roach due to the full batten system. It equally benefits the CST sail which increases the performances in calm weather. The cockpit on the same level as the saloon, is protected by a rigid roof. It is designed with a dining area, an independent sheltered bench seat, direct access to the helm and storage lockers, for pleasant and safe outside living while navigating or at moorings. Entering the saloon, the cherry-wood associated with chocolate and sandy colours gives you a feeling of being at home with a refined interior fitting. A very pleasant eating area with a table and bench seats for 8 people, a galley with storage both accessible and independent with a view on the cockpit, a true chart table facing the sea route, separate storage lockers for the stores and fresh food with a piano fridge avoiding waste. Sizeable cabins, where wood is ever present, having double beds with slats, drawers for storage and a wardrobe, oblong portholes with a view out to sea, a private bathroom with separate shower. 100% refundable: if you, unfortunately, have to cancel your booking, and the original period gets booked by another client, we will inform you and you may use 100% of your payment for a new booking, according to standard rate-list. Please select if you'll arrive by car or plane. We can arrange transfer from Rijeka Airport (RJK). Please fill in the following fields so we can better understand your requirements and wishes. Have you been on a boat holiday before? Do you have previous sailing experience? What are your preferences (beaches, gourmet, sights)? How many hours of navigation per day? Please fill in the names and years of birth for all other guests. Thank you for your interest! We’ll get back at you shortly!